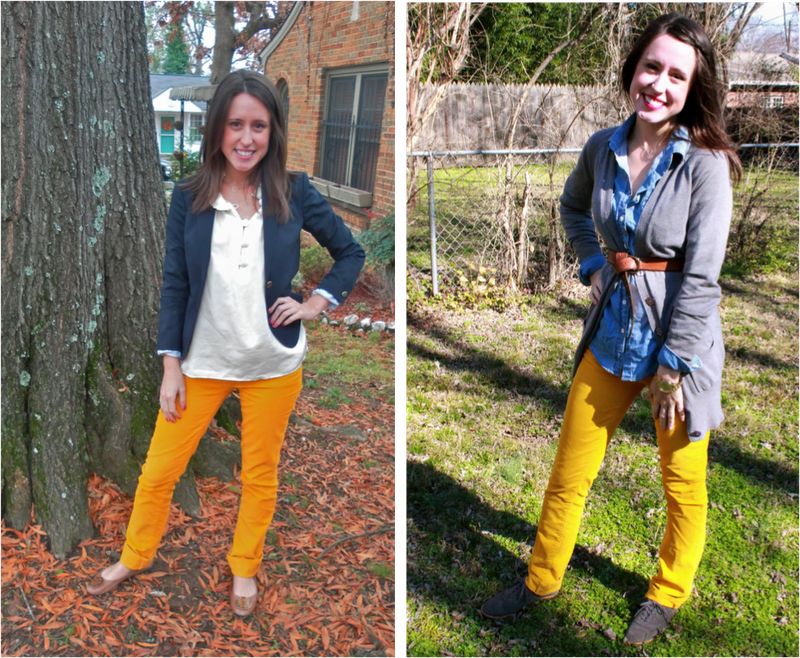 More than I expected, these mustard pants have been in heavy rotation in my wardrobe during the past Fall/Winter months. They play so nice with the neutral basics in my closet (i.e. navy blazer, white silk shell, chambray shirt), and give a pop of color to grey days. I am actually a little sad that these corduroys won't transition into the warmer months, but have my eye on a pair mustard colored denim to keep the love affair strong. 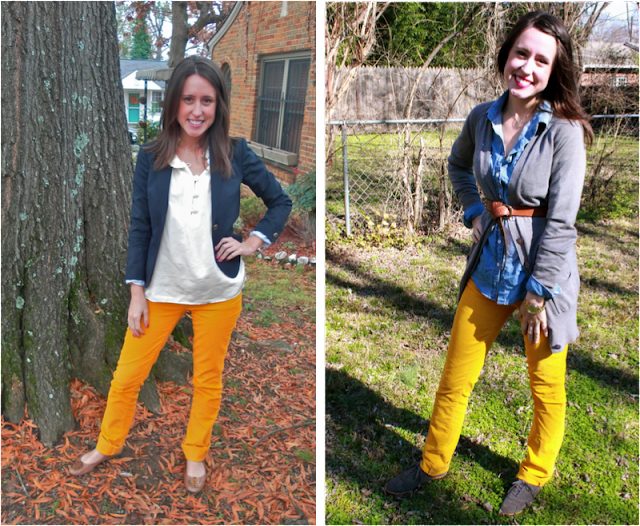 Are you a fan of mustard for the lower half? Dreaming of other colored denim hues? What ever you dream of, work it girls! Love these combos!! you are definitely on my list of bloggers to follow! i looove the first look with the blazer!